A reference used to describe food that is dried out and discolored because of an extended period in the freezer. 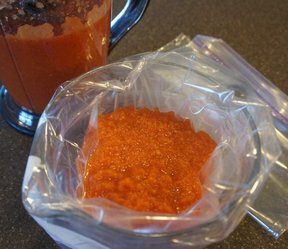 Freezer burn toughens meat and provides a flavor that tastes spoiled or old. When freezer burn occurs to food, the food item has been exposed to too much oxygen, which may happen when the food is improperly wrapped or stored. Always store foods properly wrapped in plastic storage bags, foil wrap or plastic wrap. 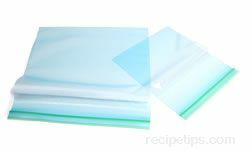 See the Glossary terms plastic wrap or foil wrap for an explanation of when to use foil or plastic. Different foods can be frozen for different periods of time before they become freezer burned and have to be discarded.